This video gives a few reasons to come diving with us this year! Alex and Noemie are just back from holidays. 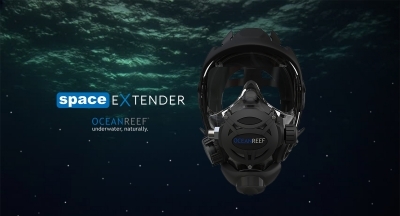 We’ve used some of the time in the UK to both complete the Factory Sponsored Ocean Reef Integrated Diving Mask & Communications Specialty Instructor courses. Having completed an excellent course with Craig Mainprize of Hydroactive in Bedfordshire, one of a handful of Ocean Reef International Training Centres worldwide. These awesome bits of kit increase comfort, enable in-water communications, massively increase vision and much more! Saturday 28th January. Enriched Air Nitrox Specialty. €100. Extend your dive times, reduce surface intervals and take on less Nitrogen during multiday multidive holidays. 18th and 19th February. Emergency First Response. (Primary and Secondary Care inc Defibrillator and Oxygen) €150. Learn hugely important life skills and a pre-requisite for the Rescue Diver Course. 9th April. EmergencyFirst Response Refresher. €70. 25th and 26th February and 15th and 16th April. DrySuit Specialty. €249. “Come in from the cold”. Enjoy diving all year round with the right exposure protection! Ask about our special pack with purchase of a new Aqualung Blizzard suit included. January 15th, 22nd, 29th , February 19th, 26th, March 12, 26th.